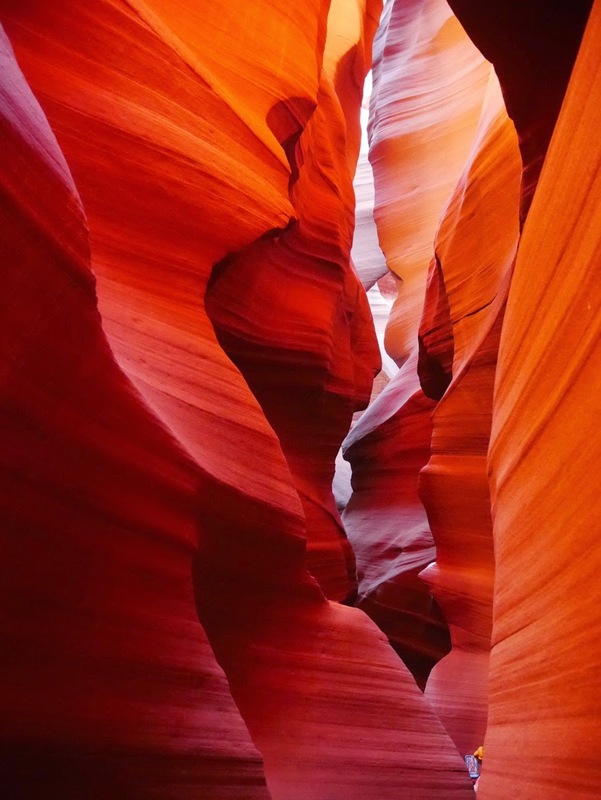 Antelope Canyon is a little canyon just outside Page, Arizona. Page seems to be a town that exists solely because there is a whole bunch of really amazing stuff within spitting distance. 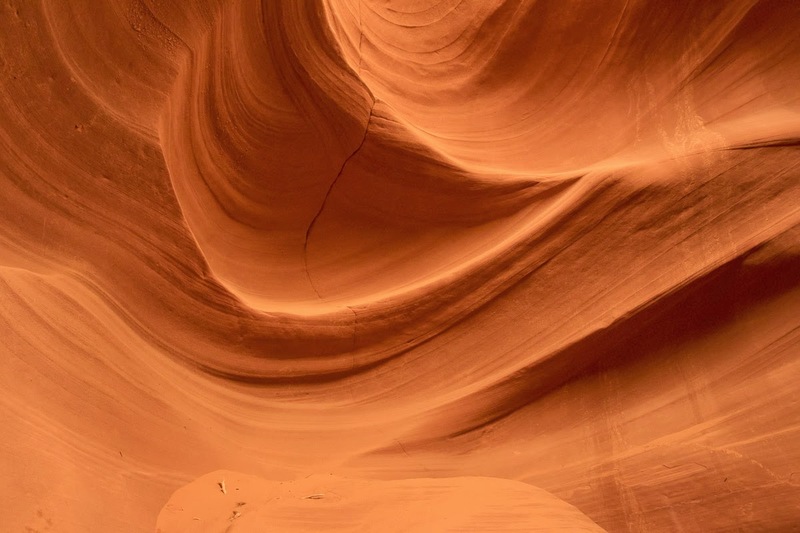 That’s actually not the case, Page was founded because they were building a dam and needed a place to house the workers, so they bought the land from the local Navajo people, but there are so many beautiful things around here – Monument Valley, Horseshoe Bend, Lake Powell as well as Antelope Canyon – we could easily have stayed longer. 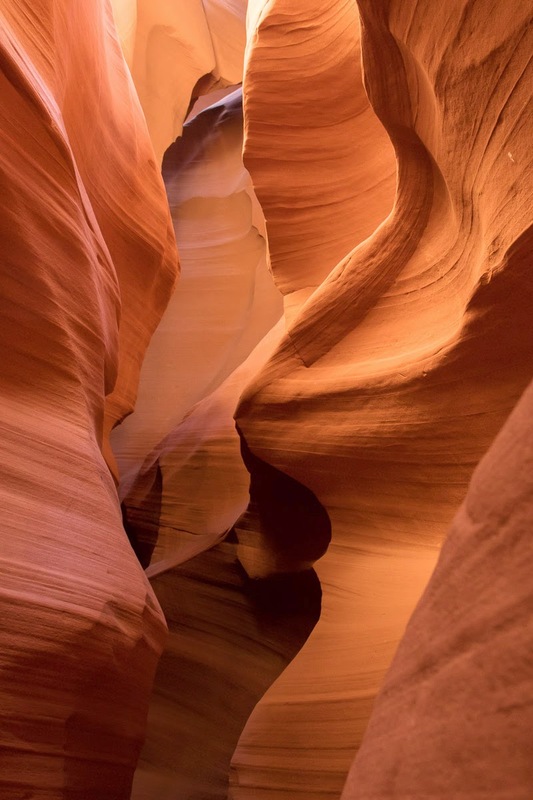 Antelope Canyon is a slot canyon. I say that like I know what it means, right? 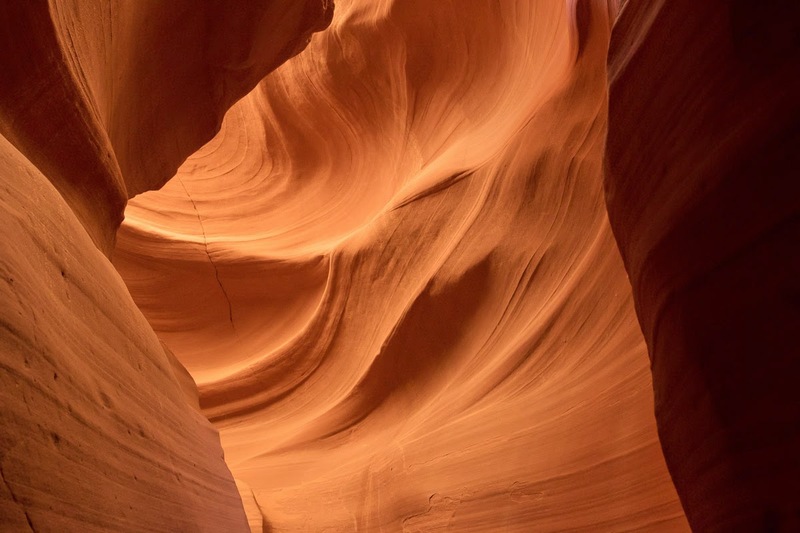 Well, as far as I can tell, it means a super narrow, winding canyon where if you get distracted for a second, say, checking the photos on your camera, you are most likely to end up walking face first into a rock formation. 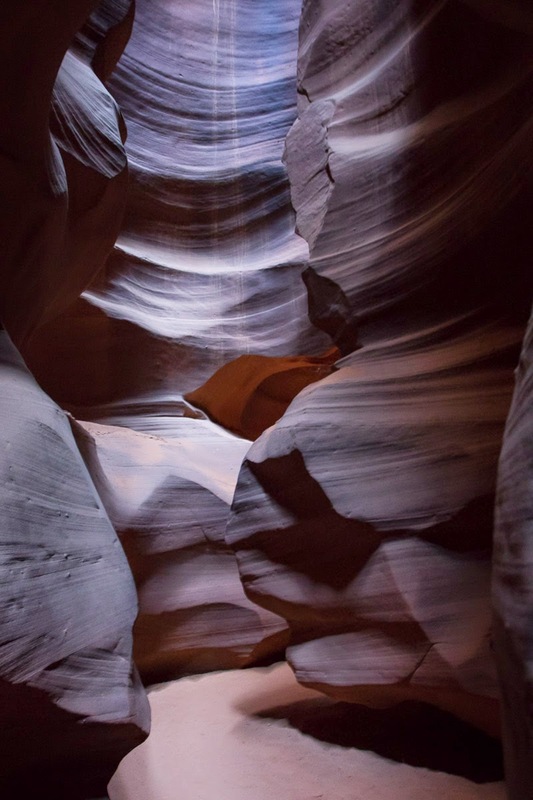 At certain times of year, Antelope Canyon gets these light shafts down through the canyon. 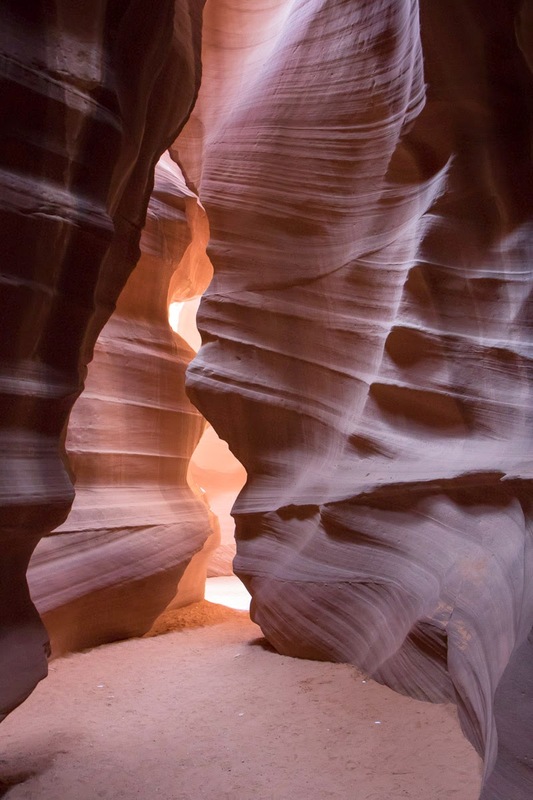 Photos of the canyon with these shafts of light are making it onto the internet and into travel books. 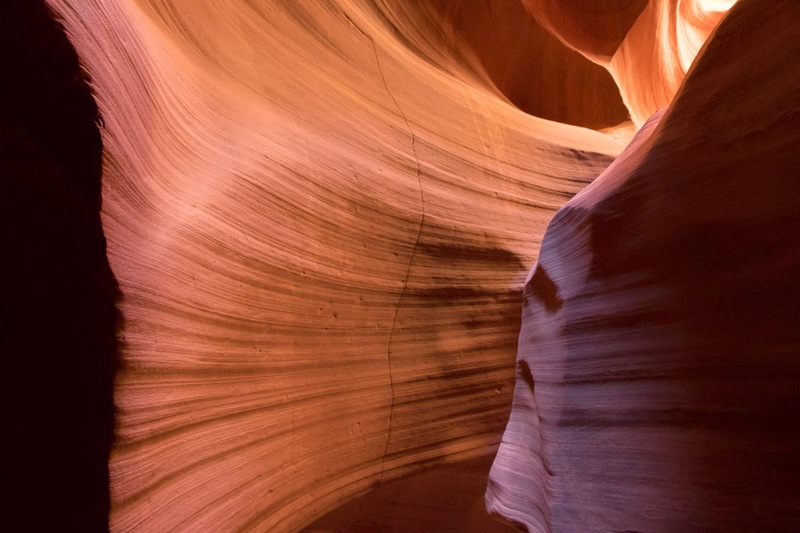 We were not there at that time of year, so if you want to see those photos, you’re going to have to Google it, but it really didn’t matter, as you will see when you see the photos. 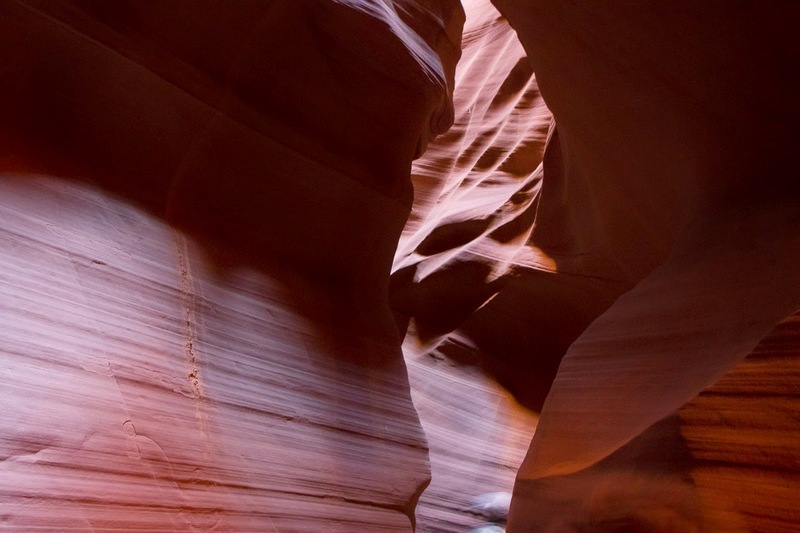 As long as you have some light coming down into the canyon, it’s all good. 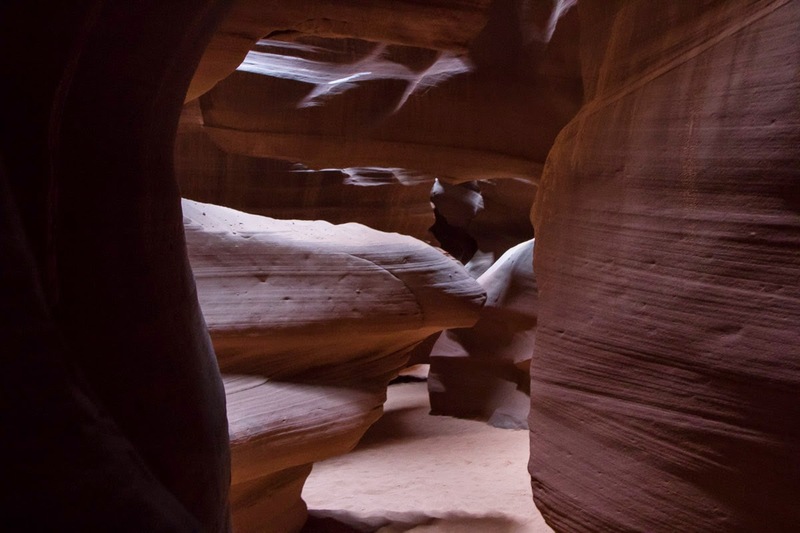 Since everything surrounding Page is still Navajo land, you can only go to Antelope Canyon with a Navajo guide. 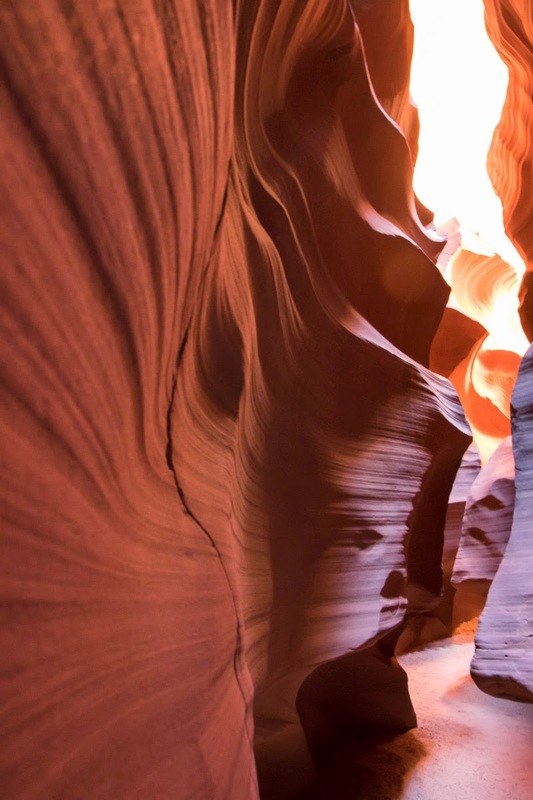 I think this is also because the canyon is formed by water, and they have a lot of flash flooding, so they don’t want you to go on your own and, you know, die. Our guide was a gently spoken Navajo guy who’d lived in the area all his life. He was very self-effacing but I get the feeling he’s a pretty good photographer, though he was quick to assure me that he’s ‘only’ self-taught. 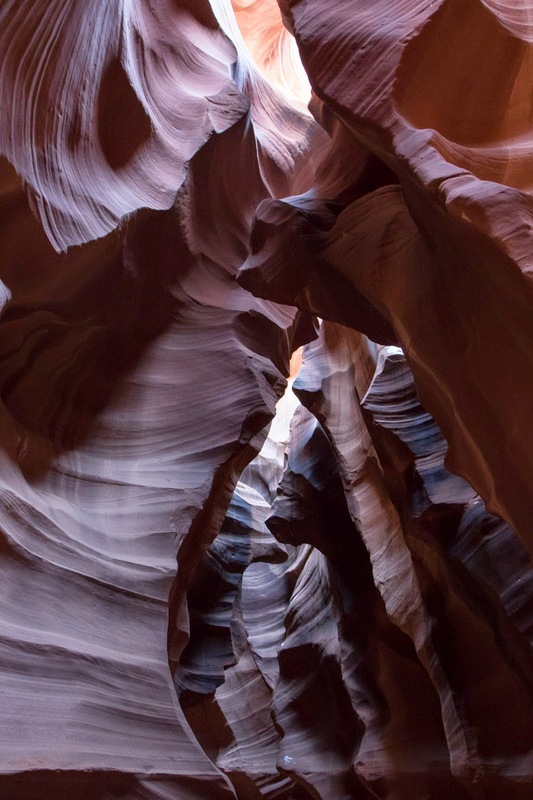 They obviously get a lot of photographers who go through the canyon because he took one look at Will’s camera and knew exactly what settings Will should have on, where he should stand and all the rest of it. Then he helped me out. He said he’s not really supposed to take the cameras to show you stuff (because if they drop the camera they’re in some serious trouble) but I’m so glad he did because he showed me how to get some awesome shots. Well, I like them anyway, you can judge for yourself. That’s right, I’m going to post some of my photos as well as Will posting his. That’s how much I liked how my photos turned out. 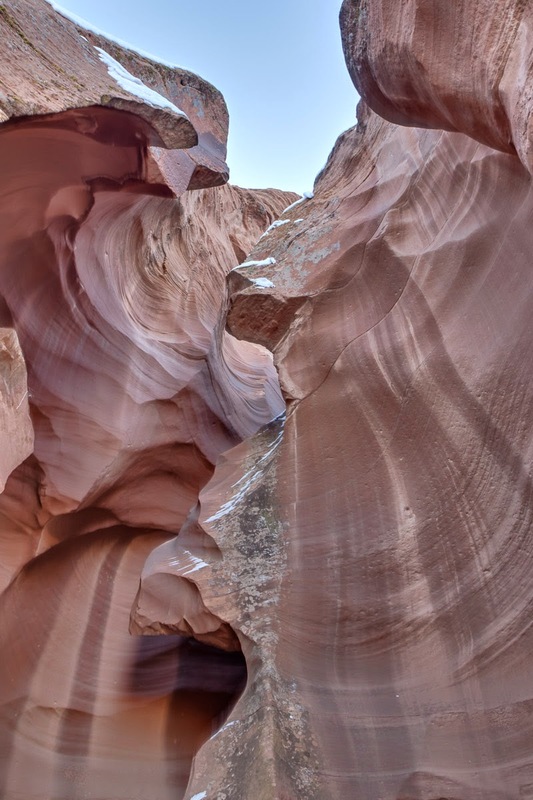 It’s a sandstone canyon, and the water rushing through makes grooves in the walls, little alcoves and a meandering path through the stone and out the other side. 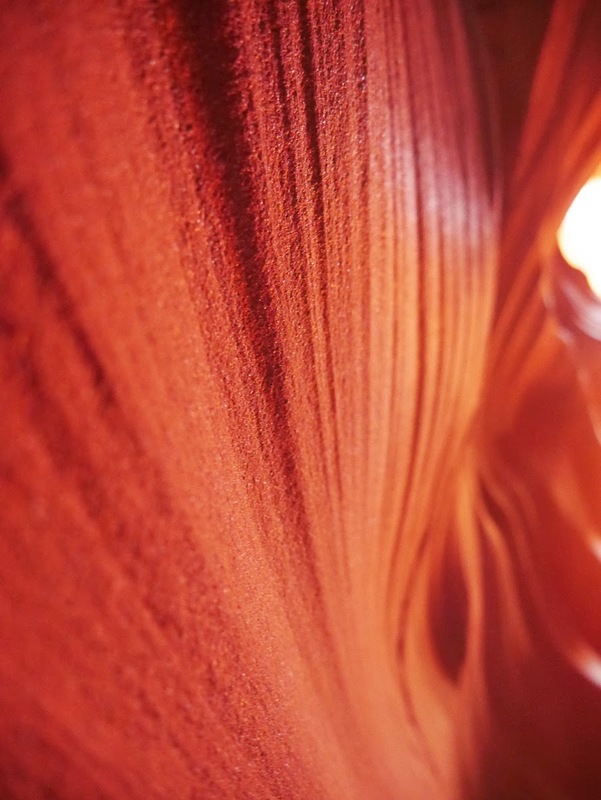 Then the sunlight comes down and slides around all the grooves and reflects off the red rock and makes it just glow. 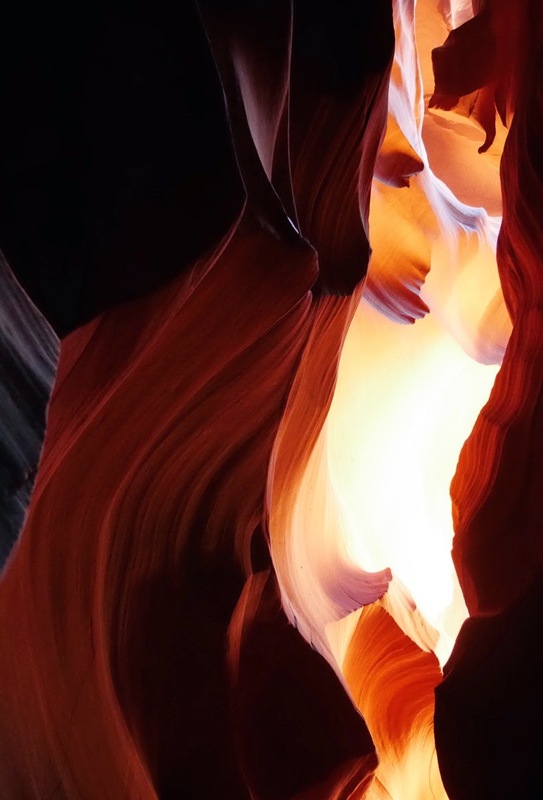 I didn’t muck around with the colour or exposure or anything much in my photos so they’re pretty much the colour they were when you were looking at them. 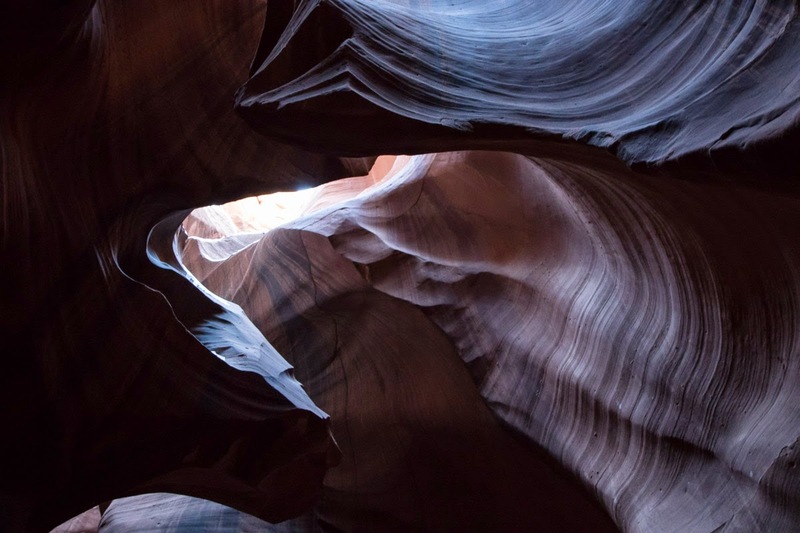 The only thing that makes a difference is what angle you were on and where the light was at that moment. It was spectacular. 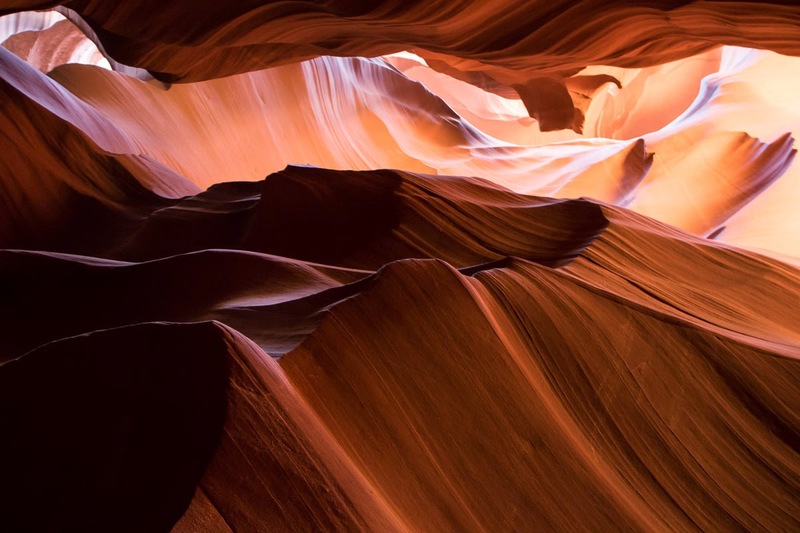 Will also has some photo tips for Antelope Canyon. 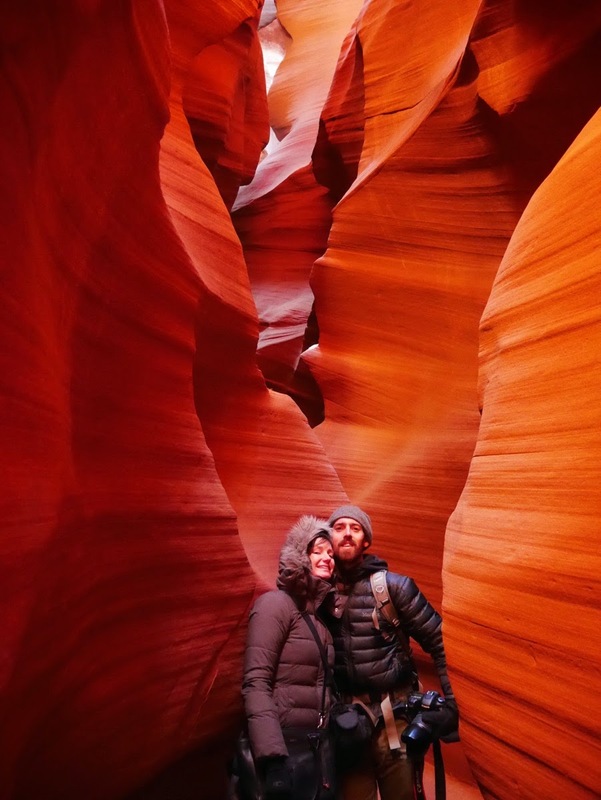 I stumbled upon you blogpost when I was researching on whether February is a good time to visit Antelope canyon. Most of the searches ended up with the same result suggesting that the best time would be summer and since it will be still winter season during Feb the sun will be at its lowest point. However your pictures tell a different story altogether. They are so beautiful. What time of the year did you visit? Thank you. 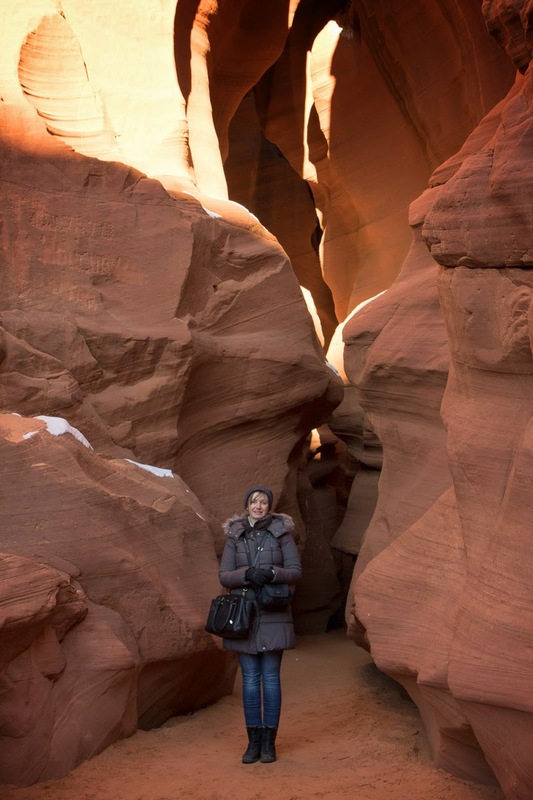 Hi Saumya, Happy you found us! 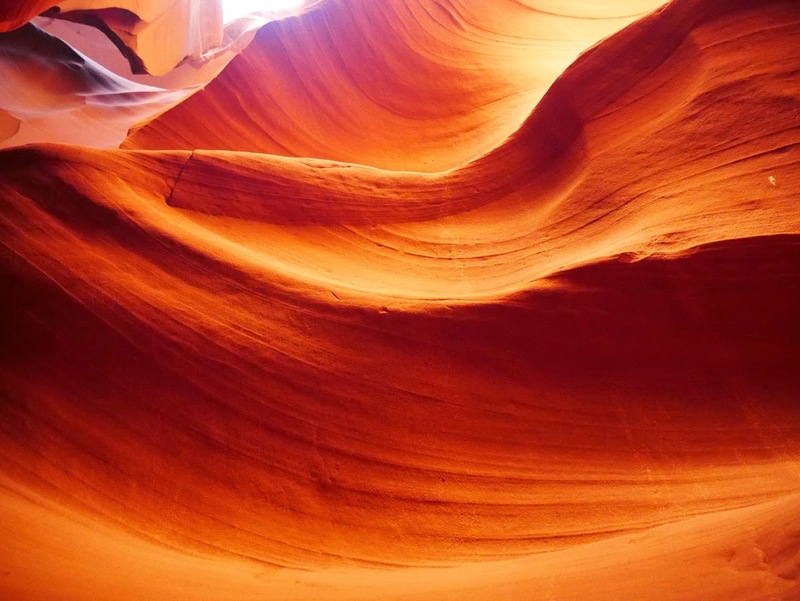 I think people suggest that the best time to visit Antelope Canyon is in summer because that's when you get the sun's rays directly down into the canyon, which is what many of the famous photos are of. 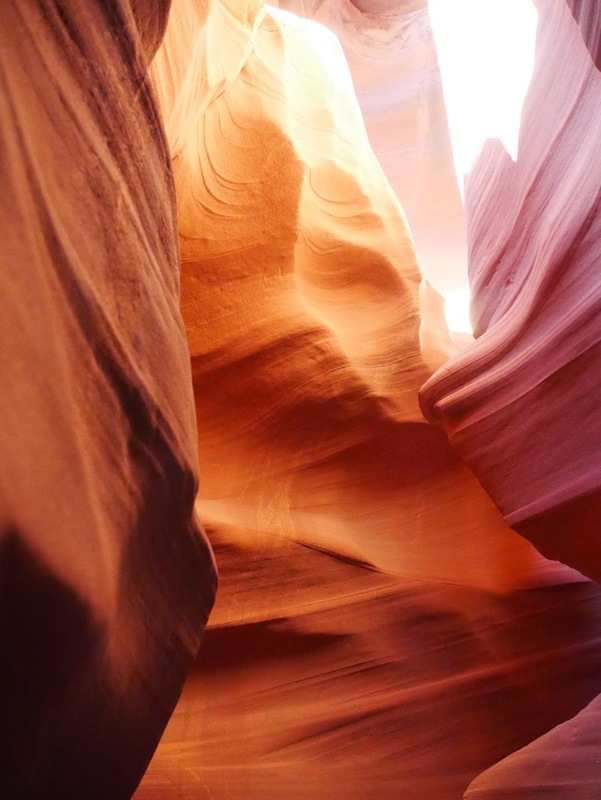 We were there in January, and we still thought it was beautiful and definitely worth a visit. It was pretty cold, but the groups visiting were smaller and there were fewer of them, so that was the pay off I guess. 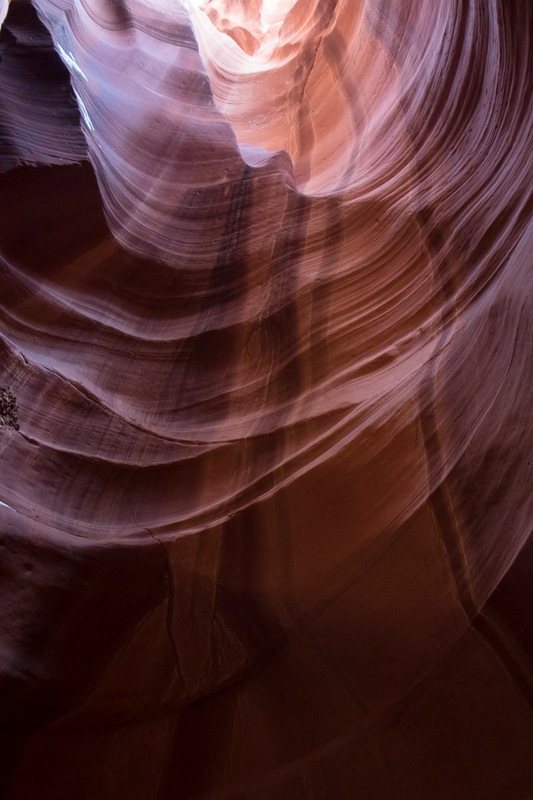 My husband Will wrote a post about photographing Antelope Canyon (don't know if you saw it). 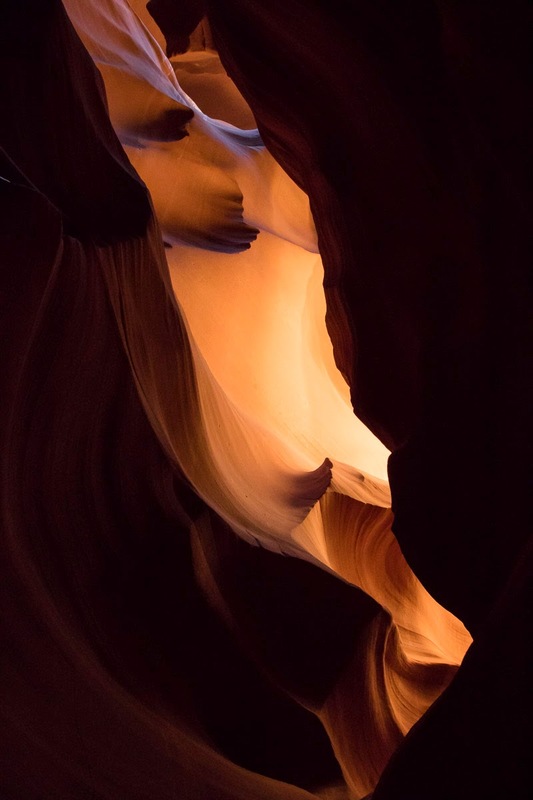 I don't know what your photography level is but you might find it helpful: http://www.jacqandwillwentupthehill.com/2015/02/photo-tips-antelope-canyon.html Cheers, and have a great trip!